Although the genetic generalization approach in the last chapter reveals many similarities with XCS, it is certainly not straight forward to confirm that the GA is any good. The GA could be too strong, which would result in a disruption of the model evolution and an over-generalized population, or too weak, which would result in a larger, still over-specialized population. It is examined if the GA is able to overcome the observed over-specialization. 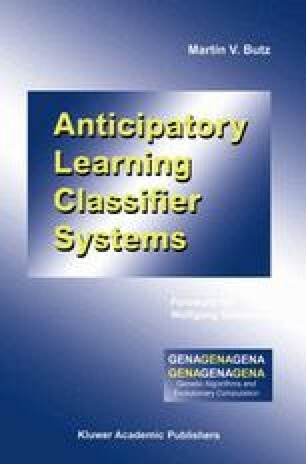 Does the GA result in an evolution of accurate, maximally general classifiers in the population and further, does the GA cause a convergence to the aspired classifiers?